Christ himself died once and for all for sins, the upright for the sake of the guilty, to lead us to God. In the body he was put to death, in the spirit he was raised to life, and in the spirit, he went to preach to the spirits in prison. They refused to believe long ago, while God patiently waited to receive them….. The reading from Isaiah tells of the births of two boys. Immanuel’s arrival marked hope that the Syro-Ephraimite threat to Judah would end soon. It also contained a promise of divine judgment; read 7:17. The arrival of Maher-shalal-hash-baz marked the doom of the Syro-Ephraimite thread at Assyria’s hands. Hope and judgment, bound together, were part of the same message. The author of the Gospel of Matthew read a different meaning into Isaiah 7, relating it to Jesus. The combination of hope and judgment is also present there. That is sound New Testament-based theology. As much as judgment is potent, so is mercy. 1 Peter 3:19 is one basis (see also 1 Peter 4:6) for the line (from the Apostles’ Creed) about Jesus descending to the dead. This passage indicates that Hell, at one time at least, had an exit. And it might have one again. There is always hope in God. If God does not give up on us–as I suspect is true–may we extend each other the same courtesy. 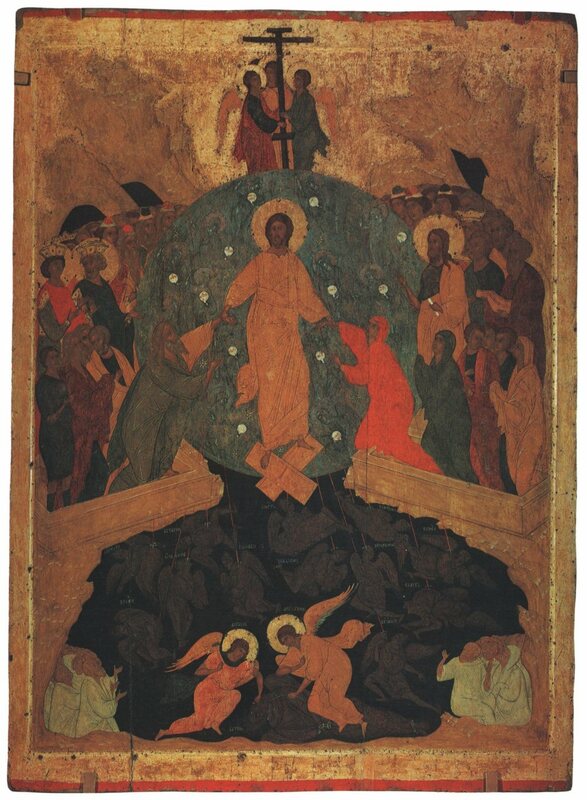 Final judgment belongs to God, and I do not presume to a station higher than the one I occupy. But I do propose that certain ideas we might have heard and internalized relative to divine judgment might be mistaken. With God all things are possible; may we embrace that mystery. I have covered the reading from Isaiah already, so I refer you, O reader, to the labeled links for them. At this time and place I choose to say the following: A pressing question for many Christians in the latter portion of the first century C.E. was whether one could be both a good Christian and a good Roman. Also, the author of 1 Peter assumed that Jesus would be back quite soon to sort out the world order. As I write these words, our Lord has not returned. The world order is what we have made it; may we exercise our agency responsibly to improve it. This does involve resisting authority sometimes, as in the case of tyrannical governments. Dietrich Bonhoeffer plotted to assassinate Adolf Hitler. Many faithful Christians–Protestants and Roman Catholics–sheltered Jews and resisted the Third Reich. And, throughout church history, bishops have called monarchs to account. We who read and interpret the Bible must be careful to read it as a whole, not to fixate so much on certain passages that we ignore inconvenient ones and distort the composite meaning of the texts. There is something called confirmation bias, which means that we tend to pay attention to evidence which supports our opinions and ignore or dismiss that which does not. I look for this in myself and try to safeguard against prooftexting, the confirmation bias method of misreading the Bible. I keep returning to the example Jesus set. (I am a professing Christian, literally a “partisan of Christ.”) He violated many religious customs, some of them from the Law of Moses itself. He seems to have favored compassion over any other factor when they came into conflict. And he taught this ethic with his words. So we have in our Lord the union of words and deeds favoring compassion above all else in guiding our actions toward others. Compassion trumps all else. As much as I disagree with those aspects of Christian traditions which deal favorably with tyrants and dictators, justify servitude, and smile upon gender inequality, I find Jesus to be the strong counterpoint to them. Somewhere–very soon after our Lord’s time on the planet ended–the church began to accommodate itself–frequently in ways inconsistent with Christ–to the Roman Empire. Jesus was a subversive. I mean this as a compliment. I follow the subversive, or at least I try to do so. If I am to be an honest Christian, this is what I must do. In the reign of King Ahaz son of Jotham son of Uzziah, king of Judah, King Rezin of Aram and King Pekah of Israel marched upon Jerusalem to attack it; but they were not able to attack it. If you will not believe, for you cannot be trusted…. he shall be our guide for ever more. 2 Kings 16:1-20 tells of the reign of King Ahaz of Judah, which The Jewish Study Bible dates to 754/735-727/715 B.C.E. Ahaz “did not do what was pleasing to the LORD his God, but followed the ways of the kings of Israel.” We read in 16:4 that “He sacrificed and made offerings at the shrines, on the hills, and under every leafy tree” (TANAKH: The Holy Scriptures). We read also that King Rezin of Aram and King Pekah of Israel formed an alliance and attempted unsuccessfully to conquer Jerusalem and the Kingdom of Judah, and to install a compliant monarch not of the Davidic Dynasty. This is the context for Isaiah 7. As we keep reading past Isaiah 7:9, we find Ahaz putting on airs of holiness by refusing to ask YHWH for a sign of deliverance. Yet the king received a sign anyway: A young woman in the court would have a baby boy, to be called Immanuel, or “God with us.” People would feast on curds and honey by the time young Immanuel could discern good from evil and choose the good. This is the story as we have it in Isaiah 7. Subsequent Christian tradition, embedded in the Gospel of Matthew, changes the meaning of this account. And since the author of that Gospel quoted the Greek-language Septuagint, not the original Hebrew text, the almah, or young woman, not necessarily a virgin or even married, of marriageable age, became a virgin in Matthew’s Gospel. Young Immanuel, of course, became Jesus of Nazareth. ”Matthew” understood the story of Jesus in the context of the Jewish Biblical narrative. 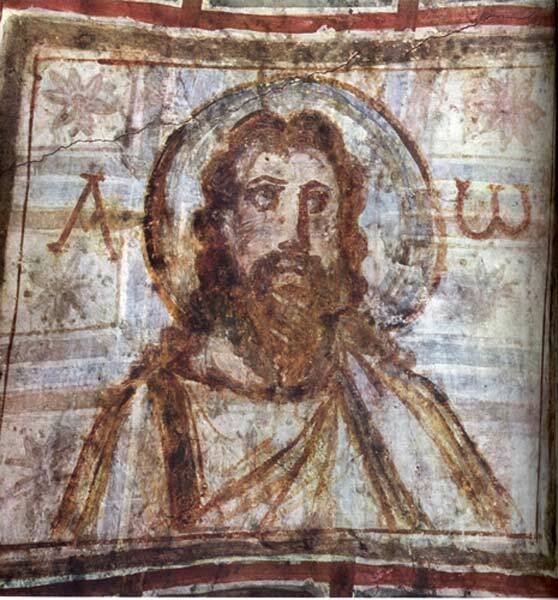 So he sought foreshadowing and prophesies of Jesus in the old texts. Sometimes he imagined things. Ahaz’s story continues in 2 Kings 16. 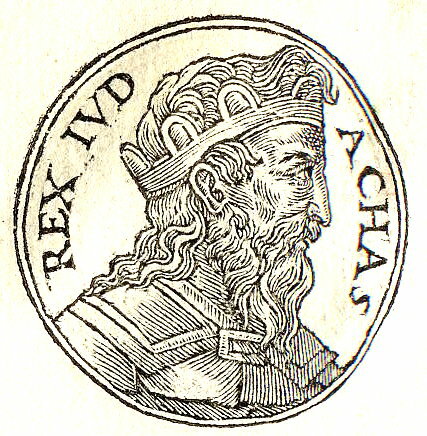 He allied himself with the Assyrian king, Tiglath-pilesar, after bribing him with “the gold and the silver that were on hand in the House of the LORD” and “the treasures of the royal palace.” So the Assyrians rescued Ahaz from the Aramean and Israaelite forces, capturing Damascus, the capital of Aram. There, at Assyrian-occupied Damascus, Ahaz saw a pagan altar, which he replicated in Jerusalem. This was bad, but his public sacrifice at said replica altar compounded his error. And Assyria demanded high tribute payments, which he paid in part by removing various Temple furnishings. Judah was on the fast track to losing its sovereignty, something which Ahaz had compromised already. I wonder how different the story would have been if Ahaz had trusted in YHWH, not Assyria. God reaches out to us, even and especially after we have strayed from the righteous path. The offer to come back remains open to us . How do we answer?